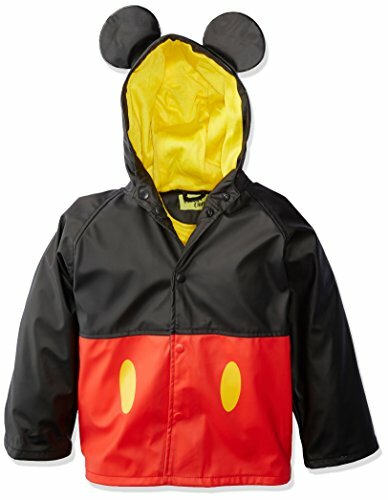 Become your favorite character in on these western chief raincoats! 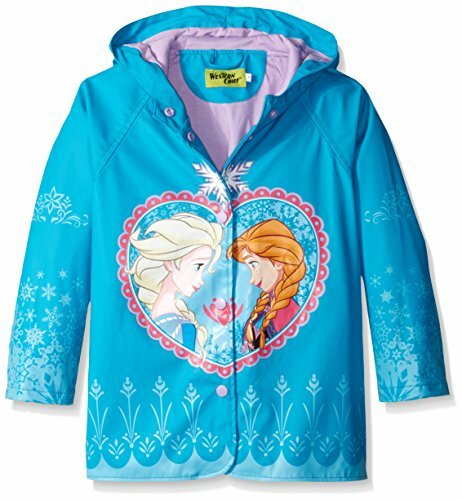 Each coat is designed with something different to make it pop! Soft and cozy poly/cotton lining | We line our women's Boots with soft, polyester/cotton blend lining to give comfort. Our lining also absorbs moisture. 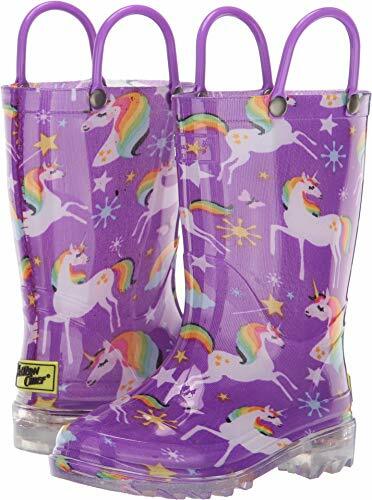 You will stay dry, cozy, and warm in these boots! Traction rubber outsole | Our women's Boots are made with a slip-resistant lug outsole to help provide traction on wet surfaces. 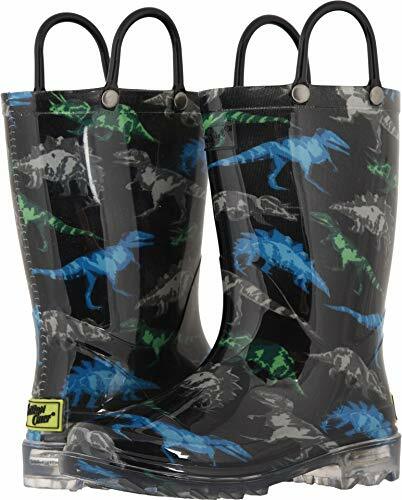 The outsole is also self-cleaning, so you won't be washing debris off the treads in these boots! 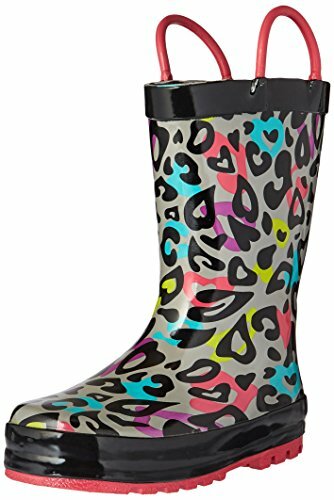 KID-FRIENDLY WATERPROOF BOOTS | Our Girls Waterproof Printed Rain Boot with Easy Pull On Handles is natural rubber, which is durable, flexible, and waterproof. 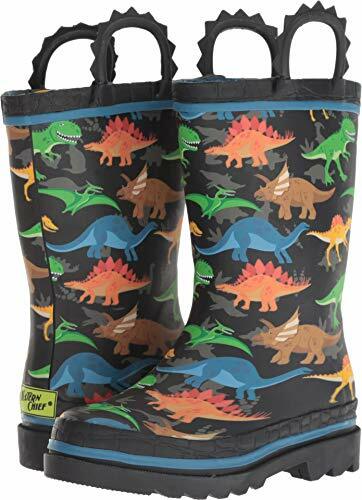 The handmade vulcanization process reduces weak spots in our rubber..
SOFT AND COZY POLY/COTTON LINING | Nobody wants to wear boots that are abrasive and rough - especially kids! We line our boots with soft, polyester/cotton blend lining to give comfort. 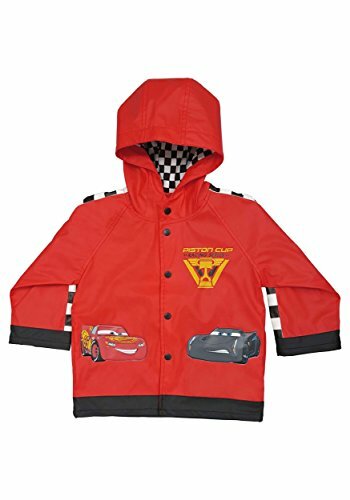 Our lining also absorbs moisture. COMFORT INSOLE | Children are rough on boots and need a comfortable insole to run around on. Our rubber boots are made with a cozy EVA insole. Our insoles are removable, making them easy to replace and clean. SAFETY FEATURE |Our boots are made with a slip-resistant outsole to help provide traction on slippery surfaces! The outsole is also self-cleaning, meaning you won't have to wash mud and other grub off the boots. 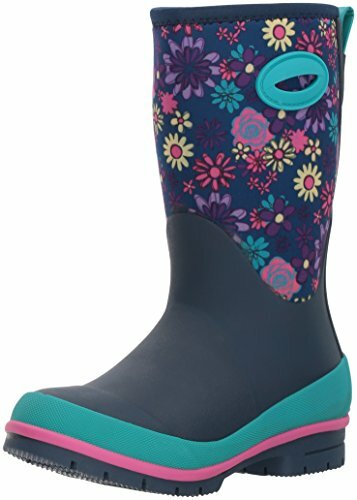 EASY ON AND OFF | To make your day a bit easier, we make our Girls Waterproof Printed Rain Boot with Easy Pull On Handles with two handles that your child can use to pull them on and off! When the rain clears a rainbow shines! 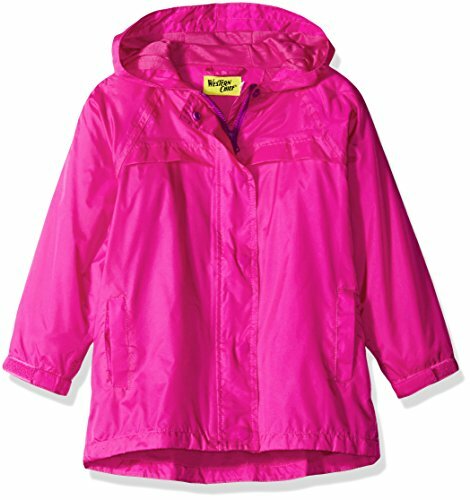 Moisture-absorbing textile linings to keep feet dry and warm. Outsole lights up with heel strike. 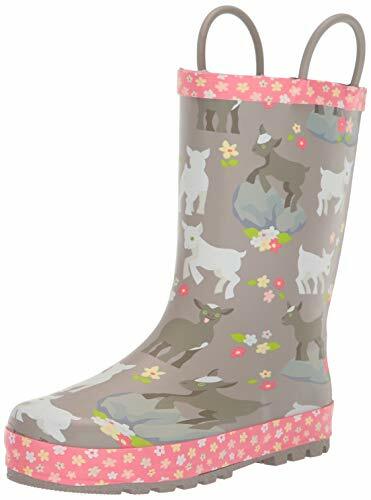 Easy on and off | to make your day A bit easier, we make our waterproof printed rain boot with easy pull on handles with two handles that your child can use to pull them on and off! EASY ON AND OFF | The lateral and medial side TPR handles present a "breeze-free" way to get boots on and off while adding an interesting element to the design of the boots. Fun prints | Who says adulting has to be boring? Not us! We are known for making fun prints! 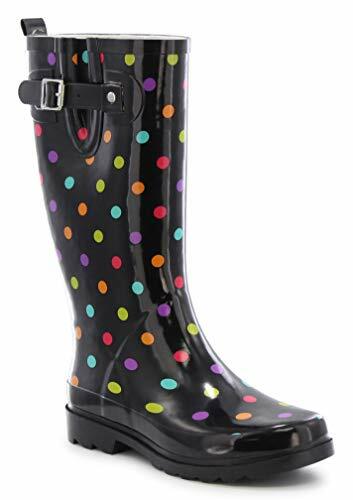 Pop out in our dotted boots, have a garden dream, or choose another of our prints! All will put a smile on your face! 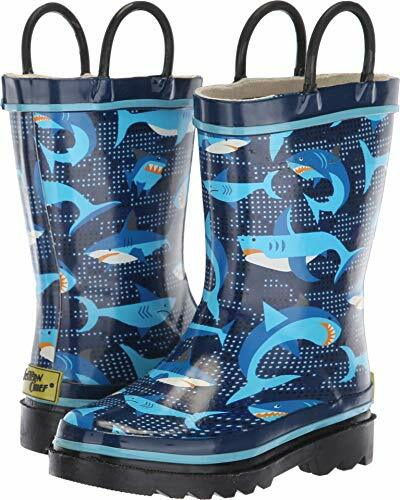 KID-FRIENDLY WATERPROOF BOOTS | We know kids are tough on boots and strive to make rain boots that can stand up to the most adventurous play. The main material we use is natural rubber. SAFETY FEATURE | When children run around, there is a part of us watching and hoping they don't fall by accident! Our boots are made with a slip-resistant outsole to help provide traction on slippery surfaces! EASY ON AND OFF | We know shoelaces and zippers can be a battle with kids - an unnecessary one, at that. They're always coming undone, often create uncomfortable tightness, and sometimes, it can be a fight just to get them on. Rubber is a durable, flexible material that is waterproof. 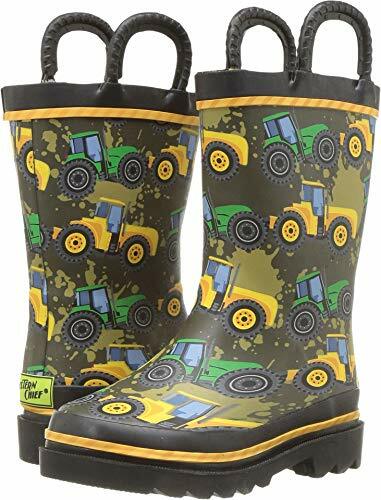 Our rubber boots differ from other competitors in that the handmade vulcanization process reduces weak spots in our rubber. 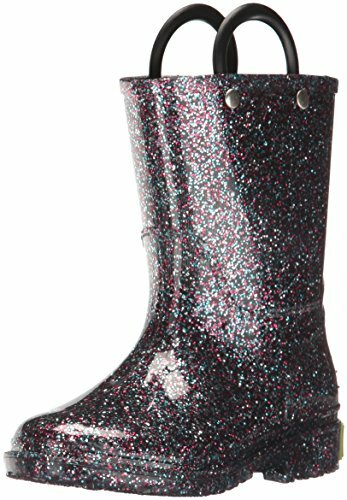 GLITTER BOOTS | Glitter is the new glam! 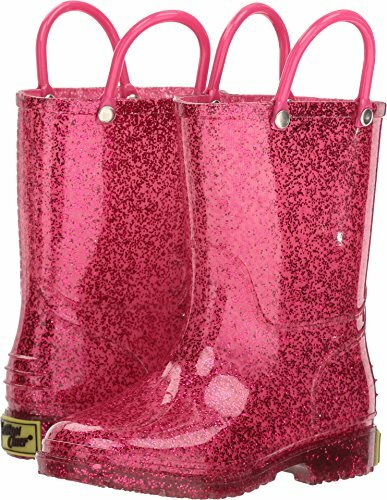 Our Girls' Glitter Rain Boot is sure to be an eye-turner! These boots are easy to pair and add a "pop" to any outfit without getting glitter everywhere. 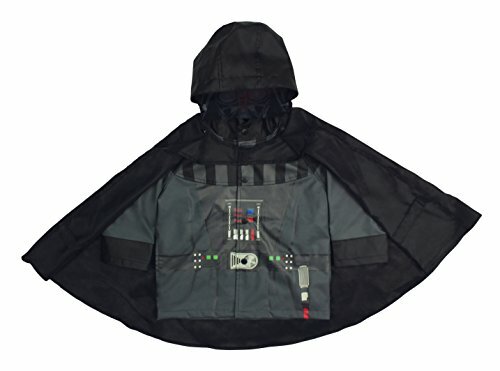 The great look and functions make this a great gift. COMFORT | Who wants to run around in heavy, rough boots? Not us! 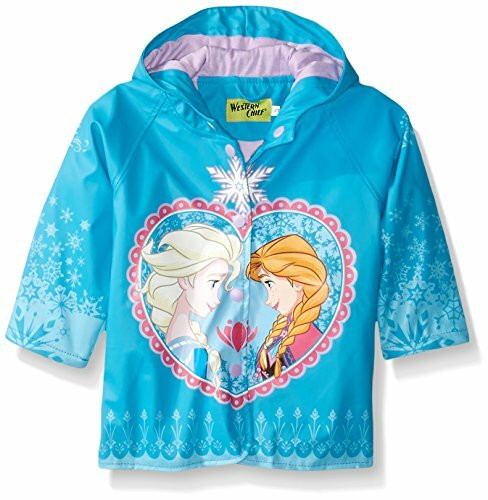 The polyester lining provides comfort and warmth. To give your feet the greatest cozy feeling, we have removable memory foam insoles that comfort the feet and are easy to replace! SAFETY | We have the safety of children at the forefront of our mind. We know children love to run around and we aim to help prevent injury. Our outsoles are made to provide traction in wet weather. You can comfortably watch your child play around! EASY ON AND OFF | We know shoelaces and zippers can be a battle with kids. To make your day easier, we make our boots with two pull handles for easy on and off! 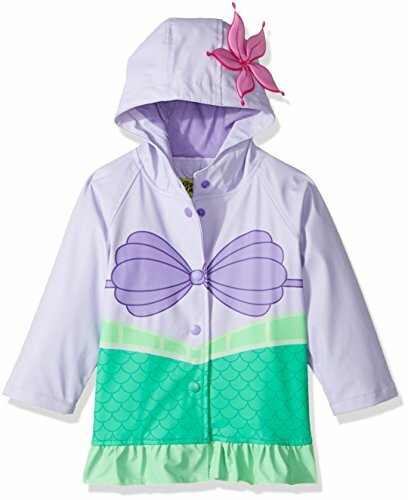 This promotes independent dressing and is perfect for the family on the go! 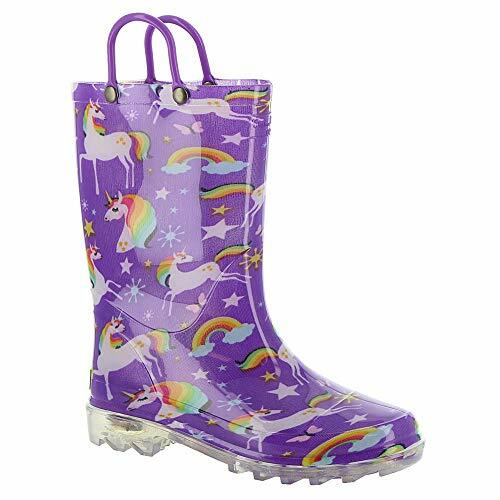 MEASUREMENTS | Our Girls' Glitter Rain Boots measure to around mid-calf height. The heel is an estimated 0.75" and the platform an estimated 0.25". An 11" circumference assists in pulling the boots on and off alongside the two side handles. 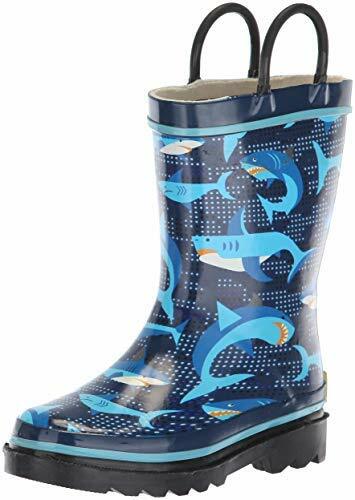 KID-FRIENDLY WATERPROOF BOOTS |The main material we use in our Girls Waterproof Printed Rain Boot with Easy Pull On Handles is natural rubber, which is durable, flexible, and waterproof. 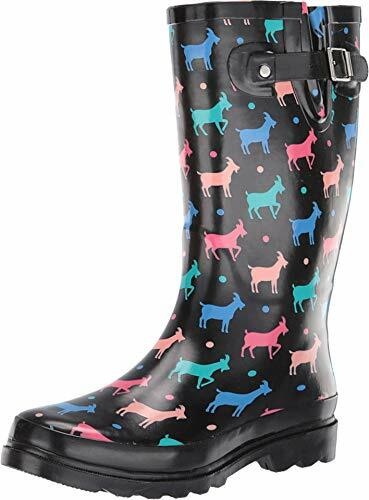 The handmade vulcanization process reduces weak spots in our rubber..
EASY ON AND OFF | To make your day a bit easier, we make our Girls Waterproof Printed Rain Boot with Easy Pull On Handles with two handles that your child can use to pull them on and off! 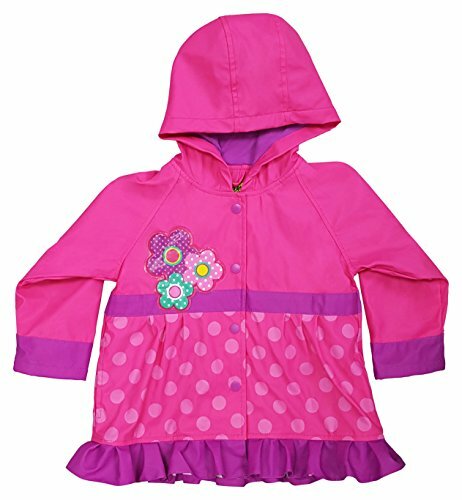 This promotes independent dressing and is perfect for the family on the go! 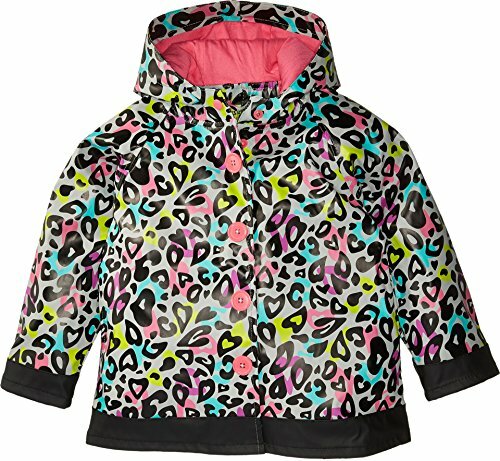 FUN PRINT | Western Chief is known for making family-friendly prints. 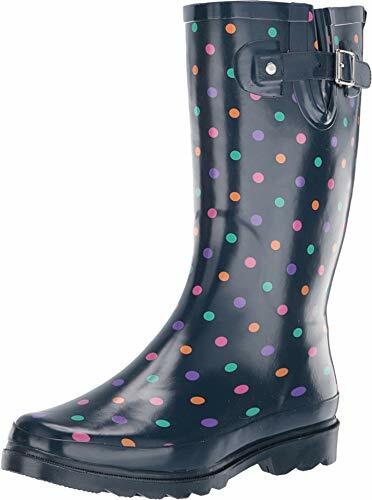 Catch little ladybugs, get groovy in our leopard print, fly with the wind in our wings boot, or choose another print to put a smile on your child's face! 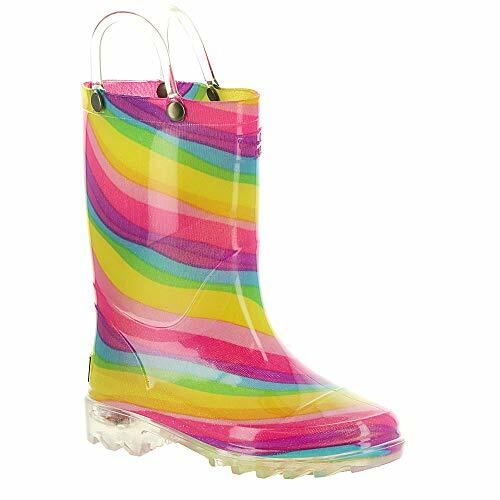 WATERPROOF RUBBER | The main material we use in our rain boots is natural rubber, which is durable, flexible, and waterproof. The handmade vulcanization process reduces weak spots in our rubber..
SOFT, COZY LINING | Nobody wants to wear boots that are abrasive and rough - especially kids! We line our boots with soft, polyester/cotton blend lining to give comfort. Our lining also absorbs moisture. 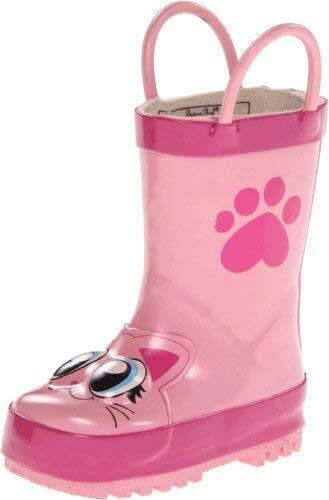 CUSHIONED INSOLE | Children are rough on boots and need a comfortable insole to run around on. Our rubber boots are made with a cozy EVA insole that can be removed, making them easy to clean and replace. SLIP-RESISTANT |Our boots are made with a slip-resistant outsole to provide traction on slippery surfaces! The outsole is also self-cleaning, so you won't have to wash mud and other grub off the boots. EASY ON AND OFF | To make your day a bit easier, we make ourboots with two handles that your child can use to pull them on and off! 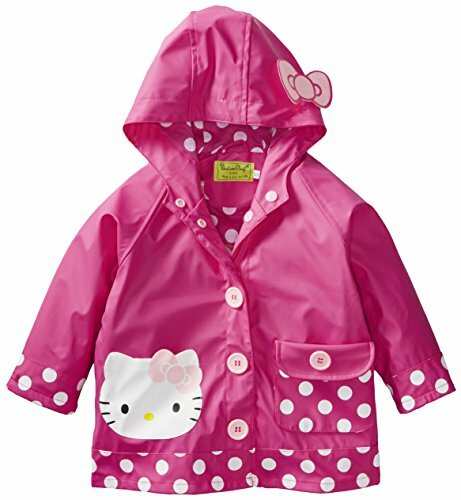 This promotes independent dressing and is perfect for the family on the go! 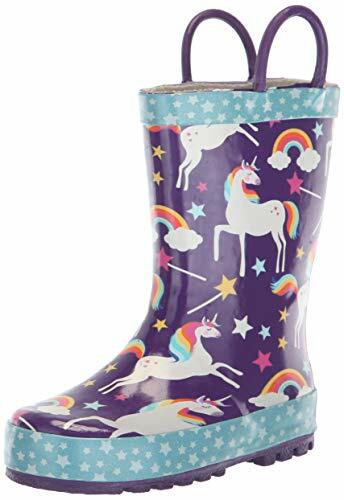 Soft, moisture-absorbent lining | Kids don't want boots that are abrasive and rough, so we line our boots with soft, fabric lining to give comfort. 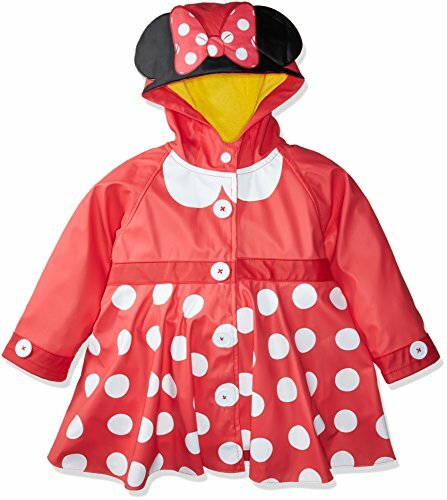 Our lining also absorbs moisture, so tiny raindrops sneaking P the upper won't get your child down! Easy on and off | to make your day A bit easier, we make our boots with two handles that your child can use to pull them on and off! 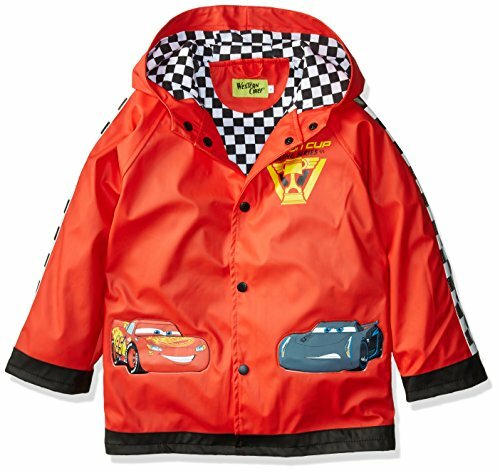 This promotes independent dressing and is perfect for the family on the go!